A year ago, today, a good friend of mine--and a good friend to many others--took his own life. One week before his third-year wedding anniversary; two weeks before his 23rd birthday; six weeks after he returned from Iraq. Whether it feels like it's been more or less than a year, it's too long to have been without him. 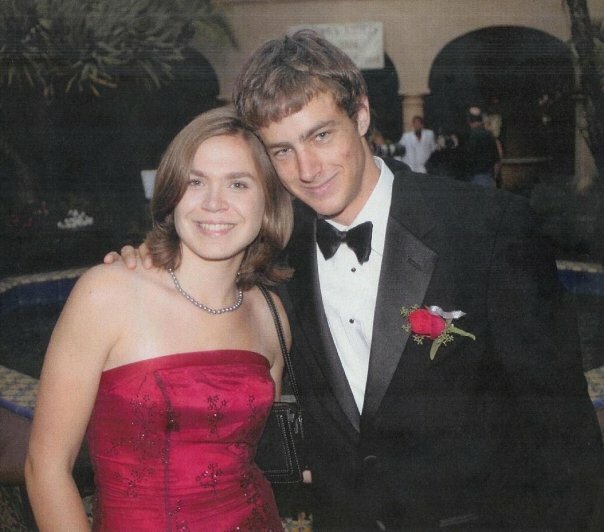 My perfect prom date: he waited with me all night while I puked my guts up from--what recurring bad luck would go on to dub--an "allergy to formal wear," AKA poorly timed gastroenteritis (my best friend was equally sympathetic while I heaved behind her in my bridesmaid's dress, en route to her "I do's," because I'm lucky enough to have terribly patient and understanding friends haha). Charlie never saw the start of Warren Tales, but he would have been Warren's personal cheerleader--like Powder Puff all over again: high energy, elaborate bravado, and a dash of cross-dressing for effect. It is my firm belief that within a few weeks he would have either produced a flag to wave, or a hat to parade, in enthusiastic support. He gave everything he had to everyone he met, and we loved him dearly, in return. And so, I commemorate him in paper, in loving memory. 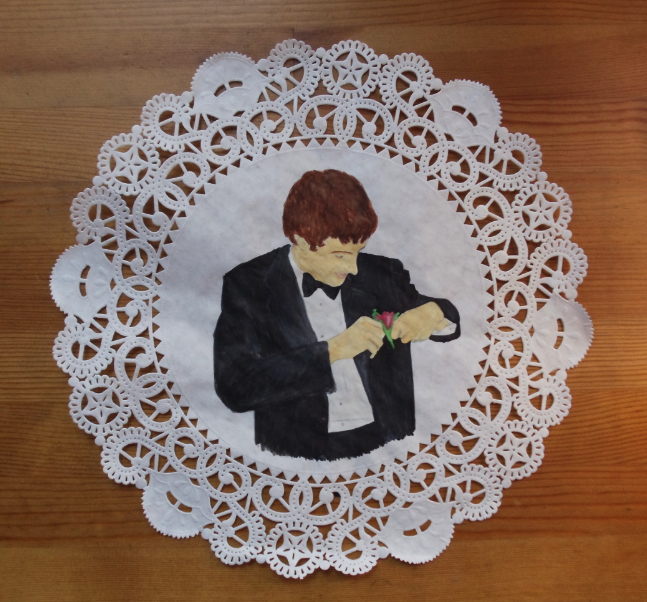 Watercolor and pencil on paper doily.